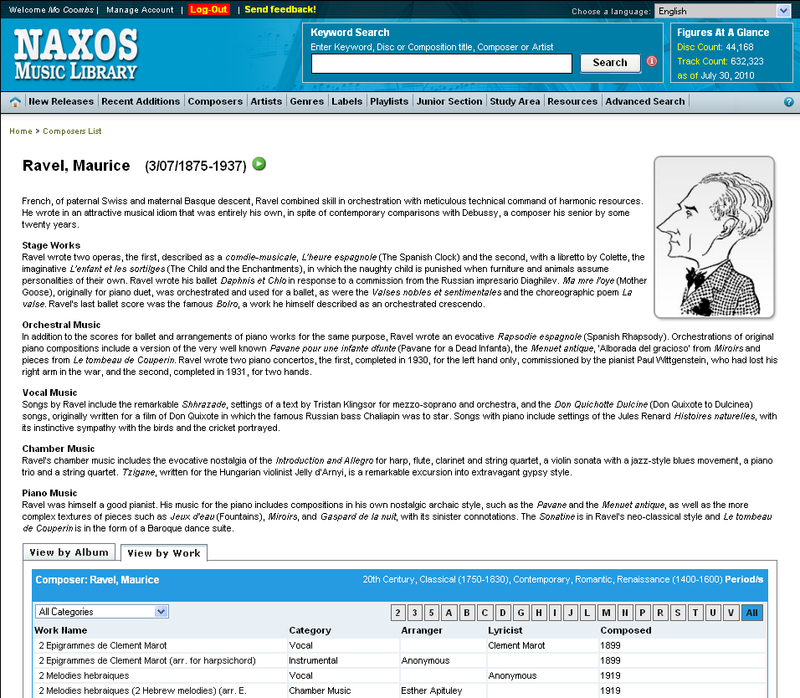 Naxos Music Library: New Feature: Search Composer by Work! New Feature: Search Composer by Work! 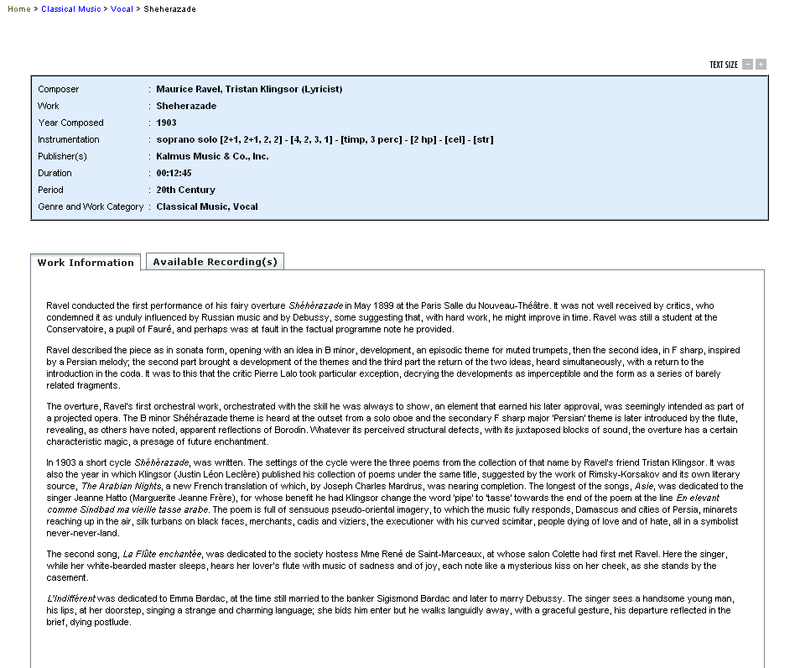 The NML has always allowed you to search for music by composer and artist. 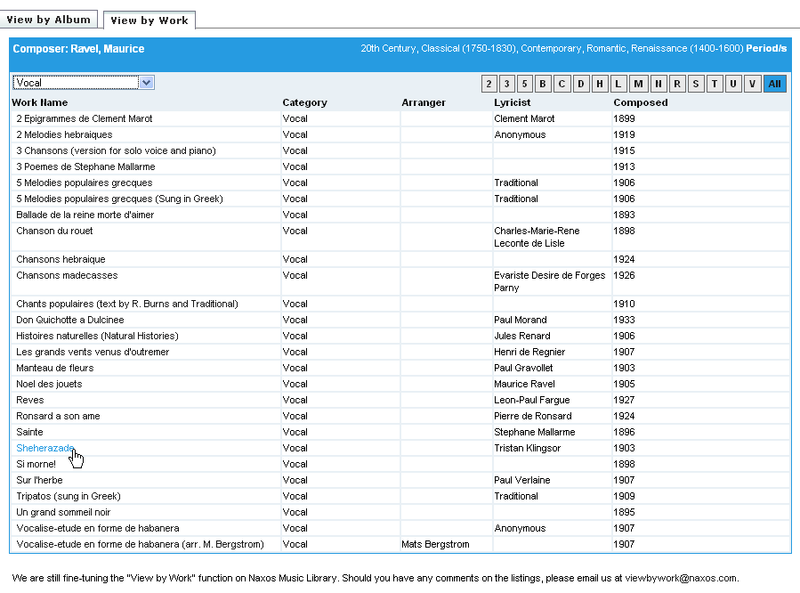 But now we have a great feature that lets you search a composer’s NML recordings by work rather than album! Curious how many recordings of Beethoven’s 5th we’ve got? Browse over to Ludwig himself and have a look! Need to see if we’ve got a recording of an abstract percussion and harp piece? Now you can, quickly and easily! 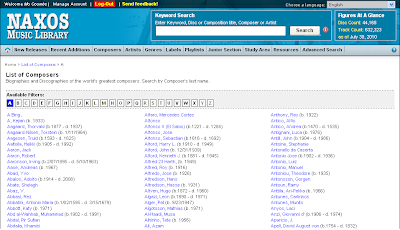 In light of the developments, here’s an easy step-by-step guide to searching a composer’s recordings by work. I'm going to use Ravel's Sheherazade as an example. Once you click on the “Composers” tab you will automatically be dropped onto the list of composers whose last names begin with A. Below the bio you will see two tabs: View by Album and View by Work. View by work is now the default tab, but you can view by album if you choose to. 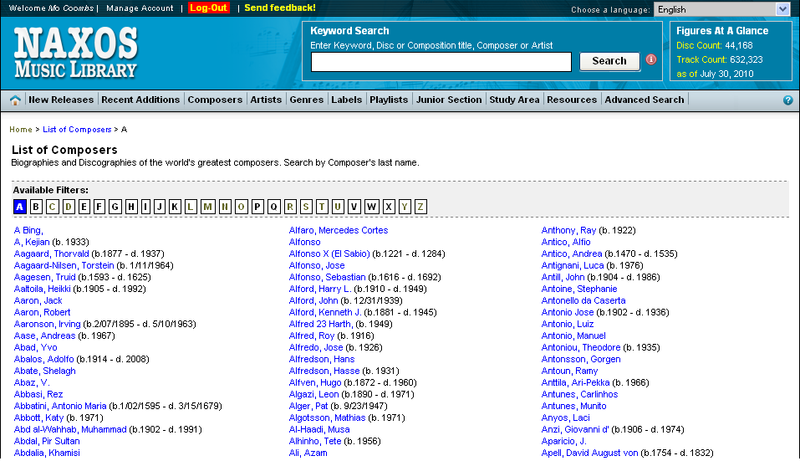 Here we see an alphabetical listing of the composer’s works with genre/category as well as other information. 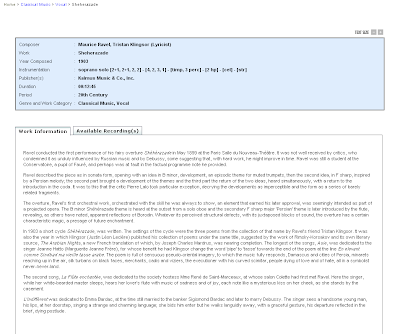 You can scroll through the list and click on the work to pull up a page with work details and information and a list of recordings on which this work appears. 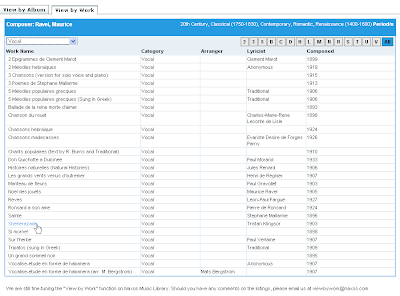 You can also narrow your search by choosing to view only certain categories of the works. Click on the pull-down menu that reads “All Categories” and select your chosen category. This will take you to a page comprised solely of the composer’s works in that category. Then you can easily select your chosen recording in the usual manner! This wonderful new feature should help you find recordings more accurately in a shorter period of time. Efficiency leads to more music, friends. And more music is always a good thing. 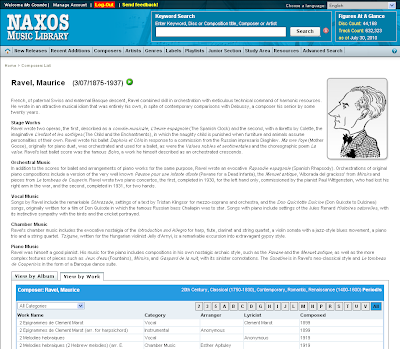 Naxos Music Library on YouTube!